The Red Cross hold an annual book sale here. It is amazing – two giant halls filled with books, magazines, music. It is so big and so busy it can be more than a little overwhelming! I go every year and always find incredible things. This year I decided to focus just on vintage children’s books (one of my passions) and I found plenty….but then I couldn’t help myself having a stroll past the poetry table on the way out and I am SO GLAD I did. Firstly I found these beauties – the Plath is a recent edition and looks in mint condition – like no one ever read it (shame on you, previous owner). I love the mushrooms on the cover. 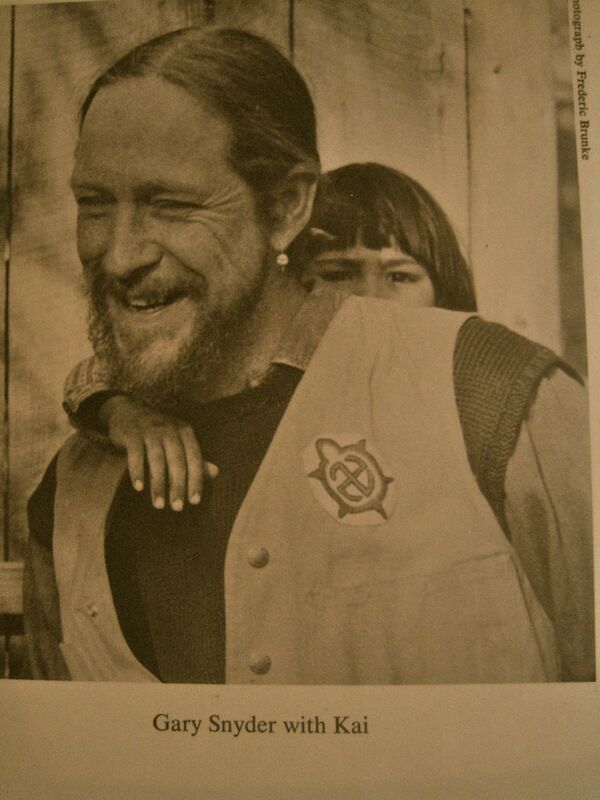 I was excited to find this early James K Baxter (pre-beard!) and someone had sellotaped a cutting out of the newspaper about his death in the back cover with a rather depressing photograph of him dead in his coffin. 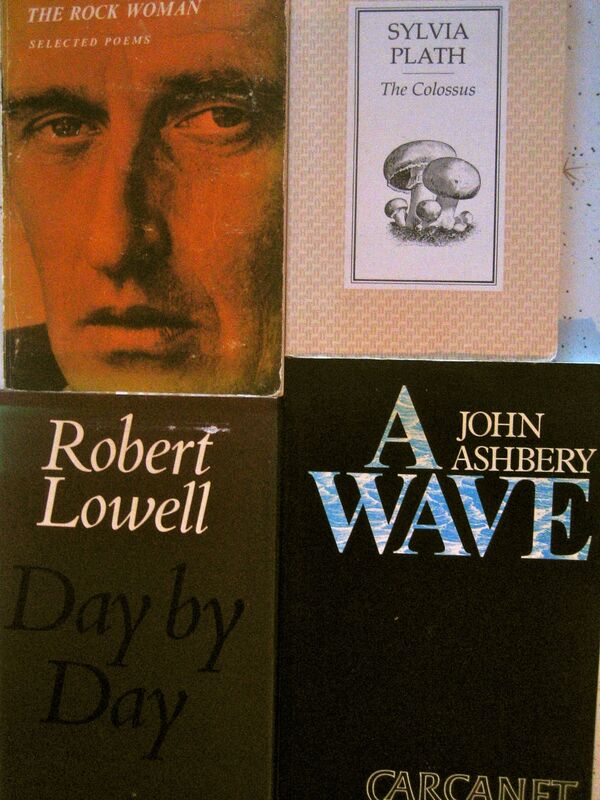 Then I found the Lowell and Ashberry and was very happy. I had nothing by either poet in my collection so they fill a substantial gap. 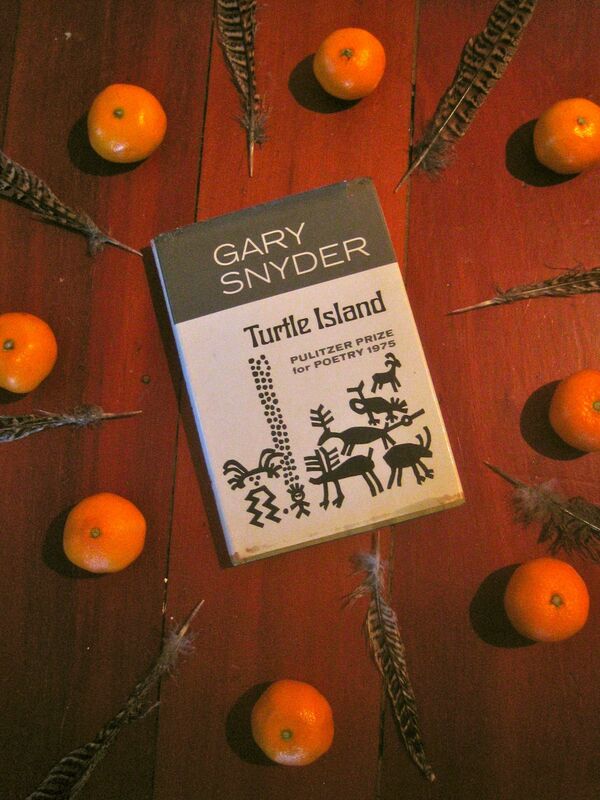 I found a copy of Turtle Island by Gary Snyder! A book I’ve been hunting for for years. I was so excited I yelped ‘OH MY GOD!’ out very loud and clutched it to my chest in a possessive manner. so I held up the book so he could see the cover. He pulled a face conveying how unimpressed he was and shrugged….proving that one person’s poetry-nerd-gasm is another’s ‘whatevs’. Best Red Cross book sale find EVER. I love the photograph of the book! Such warm colours. Love your passionate excitement. I’d have shared it. I have 3 out of those books and would have pounced on the Snyder. Enjoy! Jealous! Especially of the Baxter. 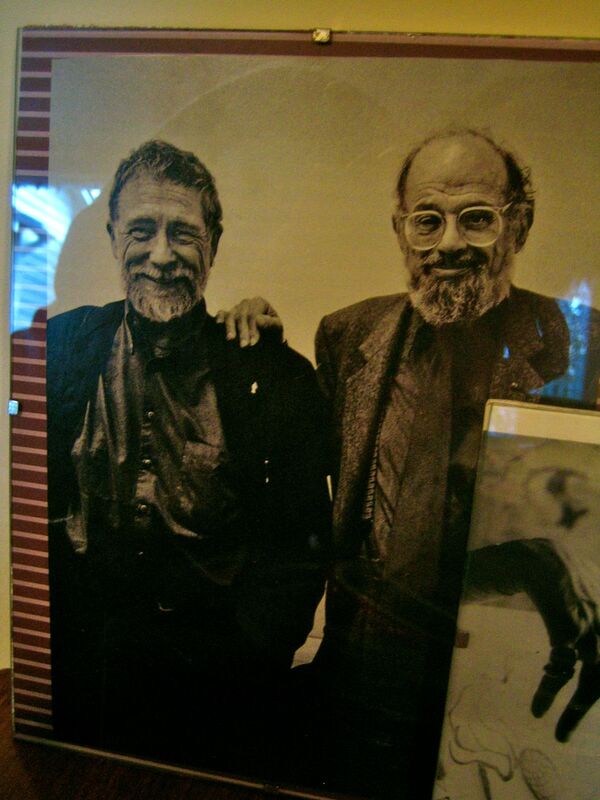 I don’t think I know Gary Snyder’s work. I will investigate. What is it you love about him? I love the photograph! The way he takes on the long tradition of zen-koans/poetry and sort of just does it anew, but in the west and in the USA…the way his work is so declarative and deceptively simple…the way he writes about the natural world.